Your conference room or computer! Access information and web invitation will be sent to you prior to the webinar. Carmen Bowman is owner of Edu-Catering: Catering Education for Compliance and Culture Change turning her former role of regulator into educator. Carmen was a Colorado state surveyor for nine years, a policy analyst with CMS Central Office where she taught the national Basic Surveyor Course and was the first certified activity professional to be a surveyor. Carmen has a Master's degree in Healthcare Systems, a Bachelor's in Social Work and German, is a Certified Eden Associate and Eden Mentor, Certified Validation Worker and Group Practitioner. Carmen co-developed the Artifacts of Culture Change measurement tool and is the author of several Action Pact workbooks. 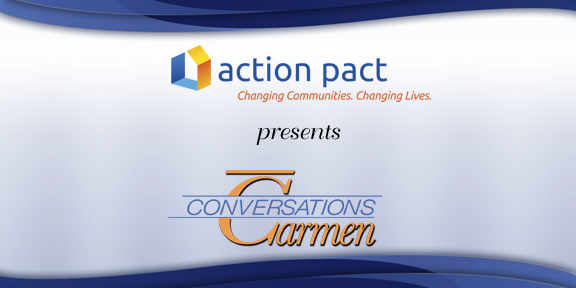 You too can join the conversations by asking questions of Carmen and her guests. Carmen's smart look at culture change focuses on a wide variety of topics. She brings an insider's view of regulations, and reports on little changes happening in government, in attitude, in practice. Each month she will share culture change news and updates, amusing and heartwarming stories, and interview a guest on a relevant and timely topic. Really - who in their work wants to be told what to do? To be handed an 'assignment sheet' with your tasks lifelessly written out for you? No time for thought. No time for talk about your own creative insights. There’s a better way, and it’s all about new opportunities for learning. Everyone likes to learn, and the internet has made learning more accessible now than ever before. Discovery excites us and we reach for more - through inquiry we initiate learning. We make friends with online dictionaries, Wikipedia, and Google. And who among us hasn’t used YouTube to learn how to change the oil in our car, measure for kitchen cabinets, bake yeast bread, or coach our child how to calculate the area of a trapezoid? We relax by playing online games and puzzles that teach us to look in all the corners, watch for opportunities, and calculate dangers. As we become increasingly knowledgeable and competent, we relish working in a warm, open environment that offers online learning, nurtures self-direction and critical thinking, and rewards new skills. Join Carmen as she hosts LaVrene Norton in discussing mindful learning including small group learning, shared leadership, and mobile learning with courses focused on person-centered care, household life and neighborhood communities. Carmen's webinars are usually held the second Friday of each month except December, and run about an hour. Fit as many as you can around your computer monitor, or project it on the wall and fill a room. After completing the payment step, you'll receive a confirmation email with a link to REGISTRATION, STEP TWO. Your payment and registration will allow you to join the live broadcast and/or view it later, at your convenience.